Agatha Gothe-Snape is an artist whose work addresses the slippery nature of how we read and understand contemporary art and culture. It is perhaps best characterised by her rigorous conceptual enquiry and openness of form. She has achieved significant recognition both in Australia and internationally. Her work was recently seen in the 20th Biennale of Sydney and The National: new Australian art . 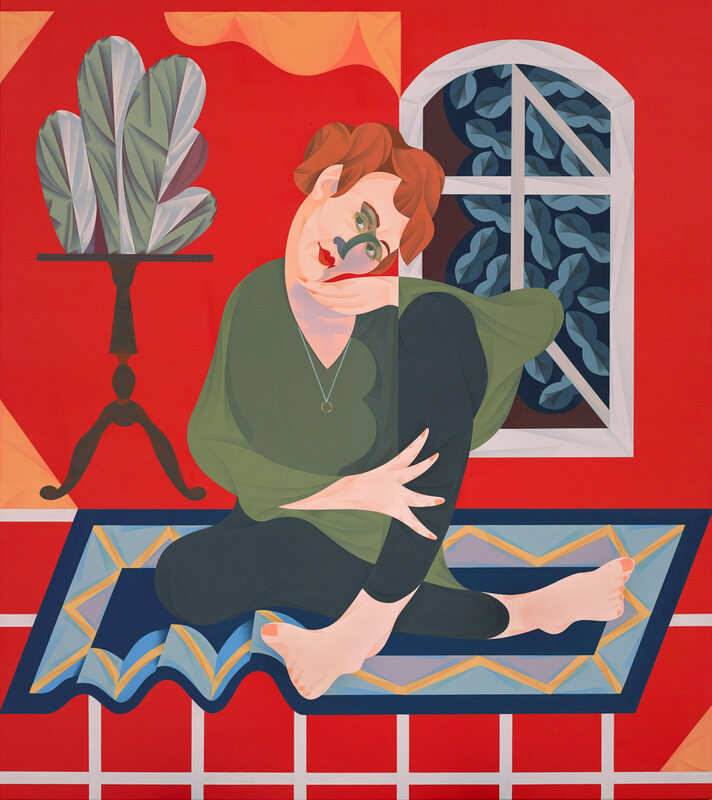 Earlier this year, she had a solo exhibition at the prestigious Mori Art Museum in Tokyo – a first for an Australian artist. ‘In this painting, Agatha is both an active subject and a recalcitrant muse embracing and resisting simultaneously any idea of what it is to be fixed. Ultimately this is what is most attractive about Agatha. She embodies an uncompromising agency whilst having the grace to accept the ready complications inherent within our life as artists,’ says Mitch Cairns. Born in Camden, NSW in 1984, Cairns is a graduate of the National Art School and was the recipient of the 2012 Brett Whiteley Travelling Art Scholarship. This is his fourth time in the Archibald Prize.